AUS-ION™ WROUGHT IRON 10L DUTCH/CAMP OVEN SYSTEM - AVAILABLE NOW! Introducing our long awaited modular wrought iron dutch/camp oven system. Both the — AUS-ION 10L DEEPA Pan and the BIGGA 35cm Flaming Skillet are limited AUS-ION™ First Edition released! Wrought in Australia from Australian iron, and so tough they will be handed down for many generations. NEW nöni™ 'Low Tox' Bakeware Launched this week on Kickstarter! If you haven't seen our current Kickstarter, we have launched THREE new nöni™ cookware innovations, including our first ever workhorse all-round stainless skillet, and solid multi-generation bakeware. This is our first nöni™ classic all-round daily chef skillet made in Australia, and it is launched here with the first two of our products made specifically for baking all in our healthy non-Nickel ferritic stainless. All three innovations are like nothing else on the market. What made this development process very special was collaborating with Alexx Stuart from Low Tox Life, author and authority on all things Low Tox, and very aligned with our vision for a more sustainable life/business/world. The new 26cm nöni™skillet cooks like iron, cleans like stainless and is great for acidic foods, and perfect for anyone who doesn't want the maintenance of seasoned iron. A Dariole Mould is a cylinder-shaped stainless steel mould for baking or moulding. Dariole moulds are used to make creme caramels, jellies and desserts including panna cotta, mousse, lava cakes. You could also use it to mould rice for lovely plating presentation. Our solid 3mm ferritic stainless steel nöni™ Baking Tray distributes heat very evenly, and this helps to avoid uneven cooking and burning. Our stainless steel will not react with food, and it won't leach Nickel into food. You'll find it browns more like iron than the more common Nickel stainless steel.' You can use the tray for roasting, toasting and baking cookies, pizza, foccacia, you can even use it as a portable BBQ plate. The baking tray, dariole mould and 26cm skillet are low maintenance, easy to clean and dishwasher safe. Bakes evenly and less likely to burn. No coating to scratch or wear off. Will not react with food - no nickel/toxin free. Attractive and durable brushed interior. Our new nöni™ bakeware and skillet won't be available for retail purchase until May 2019, and prices will be higher. The Kickstarter runs until early December 5, and it is a great opportunity to support our cookware vision and just like the Rondeau with Skillet-Lid, in return you receive limited and collectible First Edition 'stamped and dated' pieces. You can visit our latest nöni™ bakeware and skillet campaign here. The subject of this Update shows the range of emotions here at Solidteknics: excitement seeing our biggest first day ever; amazement that our Lovers sets sold out in 2 hours; a deeper sense of gratitude for our growing Solid Support base, and ever-stronger sense of responsibility for the movement we're creating: a new era in wrought seamless cookware that is loved. Thank you all for your overwhelming demonstration of faith in our vision for healthy, sustainable, and local cookware manufacturing. We will never forget it was YOU who build this brand and business from zero to solid in 4 years. It is looking increasingly like we may build a strong enough foundation to achieve our multi-generation sustainable business, in line with our cookware durability. And it is all because YOU had faith in our vision, and backed up that faith with real pledges. What drives us? Initially it was Mark Henry's engineering curiosity. He knew rivets and disposable toxic synthetic coatings had to go, if we were all committed to a sustainable future to pass on to coming generations. Then, as we saw our following grow, and many more cooks put their faith in our vision, that drove us to push through all the tough barriers. Cookware manufacturing in Australia and the USA is no joke, with all the high costs and all the might of the big established importers. It hasn't been easy, but we're committed because you're committed. More practical Updates will follow in coming days. For now, we just wanted to thank you from the bottom of our hearts for turning our dream into a reality. Like we always say, we are building this movement together. Bless you and Happy Cooking! Mark, Rebecca, Natasha, Kara, Lara, and the Solidteknics Team. 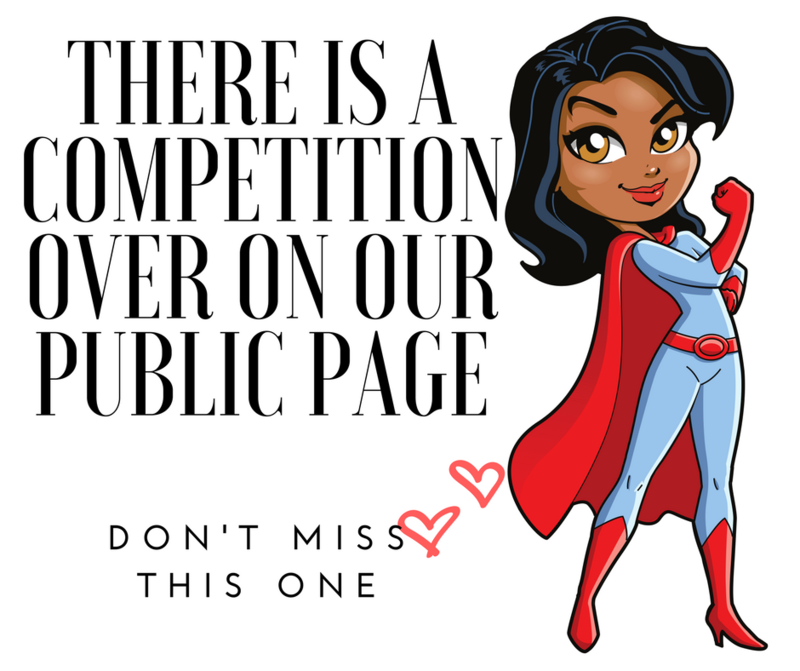 Mothers Day Competition Launched! Drawn April 30, 2018. Head to our public Facebook page and submit your entry - click on the image below! Kickstarter 12 Backers - The 'LOVERS' numbered series of 3 new nöni - Shipping Soon! Australia Day 2018 - Our 12th Kickstarter LAUNCHED! It looks like this, is also our fastest, breaking through our funding goal in 40 minutes, and 450% in 12 hours. Ahead in $ of our big KS10 for our first nöni launch last year, and way ahead of our biggest ever campaign for KS8 AUS-ION Satin in 2016, at this early stage. We're in AWE of you all for the great faith you've shown: thank YOU! Let's keep sharing the love and growing our community bigger and stronger, and assure the future of a whole new era in cookware: seamless, healthy, sustainable, local, multi-generation heirloom cookware! Follow us on www.instagram.com/solidteknics and www.twitter.com/solidteknics and speak up about this little Aussie engineering co that is semi-quietly changing the cookware industry through fundamental reinvention of an ancient kitchen utensil. Nobody believes us and our tech talk, at first - we're just engineers with something to sell - but they believe YOU, the real cooks, speaking independently from real experience. That's why we always say we got the engineering right, but without your faith and sharing, we would be just dreamers with pretty prototypes! From the bottom of our hearts, we thank you all for your solid support for our Australian cookware! AFTER THE HUGE SUCCESS OF OUR 10th KICKSTARTER, THE REVOLUTIONARY nöni COOKWARE RANGE HAS EXPANDED. Solidteknics Pty Ltd, the engineers behind the wildly successful AUS-ION Australian-made wrought iron cookware, have announced that they will next month launch a whole new category in the cookware industry: seamless one-piece stainless steel saucepans. That would be another world first from this innovative Aussie company. No need to ever wrestle with a wobbly pot handle again. This new innovation completely eliminates all rivets, welds, or joins of any kind. The entire saucepan is formed from a single sheet of special stainless steel (more on that later), making these pots virtually indestructible. "The technology is basically the same as our pioneering seamless AUS-ION skillets, and in fact uses the same patents." said Mark Henry, founder and development engineer. "The big difference is that saucepans are much deeper than skillets, and this type of stainless steel is very difficult to form from flat sheet into a deep pot.....with an integral handle. It was a long and tortuous development path, but we got there in the end, driven on by the belief that serious cooks would be attracted to the world's most durable saucepans." "We want customers to buy our pans only once, and hand them down for multiple generations. That's why we engrave the date of manufacture on every pan. We want Solidteknics cookware to become treasured family heirlooms, with future generations marvelling at their durability, and thinking about all the shared food love through the centuries. Parents and grandparents are already talking like this about our wrought iron pans, and that's what has made us most proud of all." So what is the secret behind this particular stainless material? According to Solidteknics, being Nickel-free their pans won't leach Nickel into food. "Studies have shown that there are significant levels of Nickel leaching into food, particularly when stainless steel pots are new. It's something to be aware of, even though the full health implications of this heavy metal aren't yet understood. We're not biochemists, but we just wanted to avoid any doubt, after our engineering research." said Mark. You may have noticed that no lid is shown in the teaser graphics here, and that is another closely-guarded secret, for now. Mark said, "Because we're making lids in Australia, they will never be as cheap as the imports. So that motivated us to come up with a lid that serves more than one function. It's probably also a world first, we believe. It's very cool, so we'll try to keep the lid on that news for launch day!" Australian-made. World-first seamless 1-piece. Healthy. Sustainable. Indestructible. Multi-century warranty. Multi-generation heirloom. Multi-function.....what's not to love about Solidteknics' dream for a whole new cookware category? This is a whole new category of cookware: seamless once-piece stainless, and a whole new era in healthy and sustainable cookware, pioneered by Australian engineer-cooks! Our nöni Kickstarter has launched, and it's 'on fire'! What an amazing first few days in the campaign! We've had some big successes with our iron pans, particularly the AUS-ION Satin launch, but nothing comes close to the groundswell of support we're witnessing for nöni. It all bodes well for the future of this fledgling Australian cookware industry, based on a vision for only healthy, sustainable, multi-century durable cook's equipment. Perhaps the start of a whole new era? Only time will tell, but we believe we're witnessing something very special here. Apart from expanding the noni range, lots more innovation is under development. Some big announcements are coming soon, so be sure to sign up for our Solid Supporters newsletter here to never miss the launch of another Aussie world-first! This crowdfunding method has been successfully harnessed by Solidteknics to launch all their products via Kickstarter, where 'backers' make a 'pledge' to support the campaign in return for a 'reward' (not shares). In this case, the reward is one of the rare pans from the first limited edition batch, destined to become cookware collectibles. In fact, this will be their 10th Kickstarter campaign (see all past campaigns here). "Yes, the funding sure has been important to turn our dream for a new world-leading Australian cookware industry into a reality. More importantly, we've built a very strong support base among all those who believe in our vision for a healthier and more sustainable new era in cookware. We use no synthetic chemical coatings, and all our products are the opposite of the disposable imports that have dominated for decades. Also the sheer performance of our cookware has attracted a lot of support from the top chefs and food industry experts around the world. Sure, we got the engineering right, but without all that sharing on social media, particularly among top food bloggers and home cooks on Facebook and Instagram, we would still only be dreamers with prototypes! We are forever grateful for everyone who shared the dream." It's very real now. Solidteknics not only shot to #1 on Australia's biggest kitchenware retailer (KitchenWarehouse.com.au) in their first year, but exports to the USA have skyrocketed, and their recent AUS-ION launch in the UK promises similar success in that region. Let's remember, this company is still less than three years old! Let's all tune in to the Kickstarter campaign in late June to see if the lofty dream becomes a reality. Judging by their track record, it's safe to say this new Solidteknics cookware range will be innovative, and will be loved. As much design detail as Solidteknics is willing to release at this point. Advanced CAD model. Now, where is that lid?! The post that went viral* on Facebook, and convinced Solidteknics that support was huge for this world-first seamless stainless cookware. See the original post here. The comments are eye-popping, considering Solideknics never 'plants' or pays for comments. With a multi-century warranty, outdoor cooking (and beach eating) is no problem for nöni. Everyone who backs the Kickstarter for nöni saucepans (launching late June, 2017) receives limited 'First Edition' pans, a bit like this one from a previous AUS-ION Kickstarter. "We stamp the date in every pan so that future generations can marvel at the history, and all the shared food love, in hundreds of years' time." The Great Australia Day Australian Iron Giveaway! Win a full set of Australian AUS-ION cookware, or one of 10 runner-up pans, this Australia Day 2017! New York Times covers our Australian iron cookware! NEWSFLASH: New SOLIDTEKNICS AUS-ION Kickstarter launching soon! This will be another game-changing launch of a breakthrough in our Australian-made seamless formed-iron pans. Be sure not to miss this launch: sign up for our Solid Supporters Newsletter here (not for marketing spam, just for new innovation launches). WOW! Australian-made SOLIDTEKNICS cookware covered in the New York Times! French steel pans have been popular with the best chefs for centuries because they cook so beautifully, but they've always had rivetted strip steel handles. Now Australians make the world's only production seamless rivetless one-piece steel chef pans, and they have comfortable, stay-cool 'Love Handles'. We have patents pending because these pans are truly innovative. The best Chefs grasped the significance of our AUS-ION seamless pans immediately (top chefs talk about SOLIDTEKNICS cookware here), and (almost) every home cook who sees our pans loves them for all the same good reasons. Yes, we're proud of what we've achieved, after all the long, hard work, against all the odds (Aussie manufacturers will know what we mean). Please share the good Aussie iron cookware news with all the cooks you know. This fledgling Australian cookware industry is off to a great start, but we have a long way to go before we're a 'household name' and our survival is assured! Australian Culinary Federation (ACF) competition chefs help SOLIDTEKNICS 'get a grip'! Solidteknics launches ground-breaking Australian-made seamless one-piece commercial iron pans at Fine Foods Sydney and on Kickstarter. Good news for chefs and Australian manufacturing: a whole new category of cookware was just launched by SOLIDTEKNICS, the engineer-cooks behind the acclaimed Australian-made AUSfonte cast iron cookware range. #Solidteknics launches new range of chef's innovations on Kickstarter Sept 15, in their 5th campaign. The popularity of the 16cm SKILLet offered in the Kickstarter campaign inspired enough confidence in the SOLIDTEKNICS team to add another innovative piece of cookware: the 36cm square Combo RGBBF, a huge reversible Roaster-Grill. Both pans are offered as limited First Edition castings (also dated) for Kickstarter backers only, and only until the Sept 6 campaign deadline. The only Australian-made cookware brand needs your support! We're very proud to show off our new #SOLIDTEKNICS babies and #castiron foundry action. The AUSfonte 16cm SKILLets first pre-production trial batch was a success and these SKILLets are more beautiful than we could have imagined! Support them now on #Kickstarter, closing September 6! What's it all about? Tips for anyone new to cast iron cooking, or new to AUSfonte Australian cast iron. If you're new to cast iron cooking, or new to our cast iron, we want to let you know more about the practical side of owning cast iron cookware in general.....and our Australian high performance cast iron cookware in particular. We're different Down Under.....but for good engineering and cooking reasons! SOLIDTEKNICS' AUSfonte 24cm Sauteuse pan is the #1 BIGGEST-SELLING piece of cookware on Australia's biggest kitchenware retail site, KitchenwareDirect. That's news worth celebrating! SOLIDTEKNICS Pan Grill-it cast iron insert converts regular flat pans into double-duty cast iron grills. FREE Pan Grill-its are now being offered on Kickstarter (only until April 20), when you pledge for sets with AUSFonte pans. These Limited First Edition Pan Grill-it castings are only available to Kickstarter backers. After two successful crowdfunding campaigns for innovative new Australian-made cast iron cookware, followed by retail and export success, Pan Grill-it is SOLIDTEKNICS' 3rd Kickstarter campaign. Australian cast iron cookware manufacturer SOLIDTEKNICS appoints Pan Grill-it as a new distributor of AUSfonte pans in the USA, launching at Chicago IHA show, March 7-10 on the Gourmet Business booth S2086. Come say "G'day"!